As City Engineer from 1890, Alexander Beith McDonald was responsible for planning and designing most of Glasgow Corporation's public buildings and works until he retired in 1914. Born in Stirling, his father was a glazier and town councillor. He was apprenticed to Glasgow Civil Engineers Smith & McWharrie in 1862 and studied engineering, natural philosophy and mathematics at Glasgow University. He joined the City Architect's office in 1870, under John Carrick, assisting in the City Improvement Trust's work and the building of tenements, baths, washhouses, markets, police offices and fire stations. He used statuary sparingly, but most of his buildings are distinguished by splendid armorial bearings affirming the power and authority of the Corporation and revealing the adaptability of the city's arms to imaginative sculptural treatment. Among his many designs are: the People's Palace, Glasgow Green (1893-8); the Prince of Wales Bridge, Kelvingrove Park (1894); Sanitary Chambers (now GCC Environmental Health Dept.) 23-5 Montrose Street (1894-7); Ruchill Hospital (1900) and the gates and lodges, Botanic Gardens (1904). In the early 1900s, he was joint assessor of the city's District Libraries competitions, with H K Bromhead, the results of which aroused the suspitions of the architectural fraternity after the winner in the majority of the competitions was revealed as McDonald's assistant, JR Rhind . McDonald went on to produce Glasgow's most sculptural bridge, Radnor Street Bridge (now known as Kelvin Way Bridge) in Kelvingrove Park (1914-24), which acquired its bronze sculpture groups from P R Montford long after McDonald's death. Another sculpturally distinguished project from the end of his career is the former Police Office and Fire Station, 180 Centre Street (1914-16), which features a fine array of sculpted pediments with trophies comprising Firemen's helmets and equipment, such as an axe, hose and hydrant key. Also responsible for planning the re-organisation of Cathedral Square, he designed the boundary walls and gardens at the south front of Kelvingrove Art Gallery and Museum (1914). 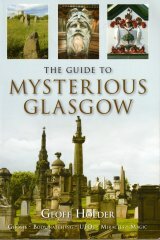 Living at 29 Kersland Street, he died after falling from a tramcar in Sauchiehall Street and was buried in the Western Necropolis. BN [Obit], vol 108, 10 November, 1915.